Crabbe, Brown & James is pleased to announce that attorneys Larry H. James, Vincent J. Lodico, Michael R. Henry, and Robert C. Buchbinder have been selected by their peers for inclusion in the 2019 edition of Best Lawyers for their excellence in their respective fields of legal practice. 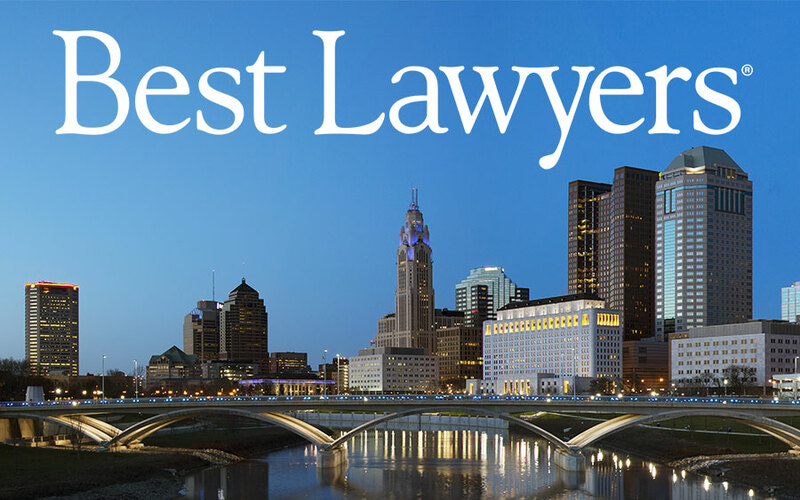 Mr. James has been recognized as a “Lawyer of the Year” for his extensive practice and reputation for excellence in the field of Administrative/Regulatory Law in Columbus, Ohio. Mr. James is the managing partner of Crabbe, Brown & James and has been a prominent figure in the Columbus legal, business, civic, and political scene for three decades. Mr. James’ other practice areas include general defense litigation, business/corporate law, and employment law. Mr. Lodico has been selected for recognition for his high caliber of work in the field of Medical Malpractice Law (Defendants) and Personal Injury Litigation (Defendants). Mr. Lodico is a partner of Crabbe, Brown & James and has dedicated his career to the firm since 1972. Mr. Lodico concentrates his legal practice on general defense litigation, medical malpractice defense, and transportation defense. Mr. Henry has been recognized as a “Lawyer of the Year” for his expertise in the field of Insurance Law in Columbus, Ohio. Mr. Henry is a partner of Crabbe, Brown & James and has more than 30 years of litigation experience. Over the course of his career, Mr. Henry has conducted over 60 jury trials and has appeared in front of the Ohio Supreme Court and the U.S. Sixth Circuit Court of Appeals. Mr. Buchbinder has been selected for his excellence in the field of Transportation Law. Mr. Buchbinder is a partner of Crabbe, Brown & James and has been with the firm since 1987. An experienced litigator, Mr. Buchbinder focuses his practice on insurance defense litigation, school law, and workers compensation. For over thirty years, Best Lawyers has been regarded as the most credible measure of legal integrity and distinction in the country. The organization uses a rigorous peer-review survey and authentication process to determine the top lawyers across different practice areas and geographic regions. The “Lawyer of the Year” distinction reflects extremely high overall feedback, legal integrity, and excellence in practice. Lawyers may not pay to be nominated or included on the list.